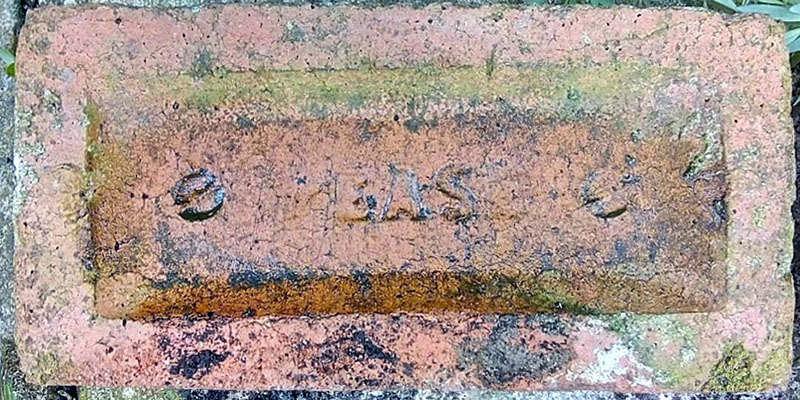 Any information on these bricks would be appreciated. 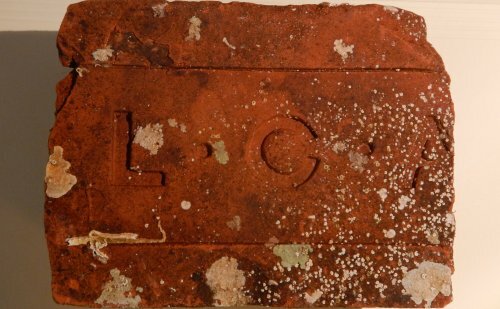 Photo by Martyn Fretwell, possibly a refractory brick batch number? This one was found by Carla van Beveren in Pocklington. Found on Skipsea beach by Carla van Beveren. 55 or could be S S? Seen in Bishopstoke, Eastleigh, Hampshire by Ian Suddaby. Photo by courtesy of the Frank Lawson collection. Frank thinks it could be The Morgan Crucible Company of Battersea as their logo was a triangle but it's a bit of a longshot! Found near Bridgend by Richard Paterson. Found at Spondon Reclamation yard by Martyn Fretwell. Found on a reclamation site near Barnsley. Photo by courtesy of the Frank Lawson collection. Found in Widnes. Photo by courtesy of the Frank Lawson collection. Found, along with a fragment of another, in undergrowth near Pontnewydd Golf Club. Both had the spindly "A & FP" stamp, and both were quite crudely made. I did wonder if they were made by an amateur in a makeshift kiln. photo and info by Lawrence Skuse. 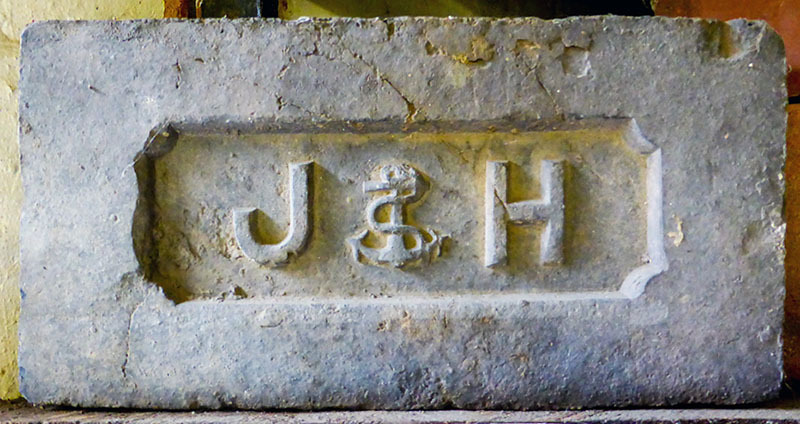 Found in a farmyard near Alcester (Warwickshire) by Alwyn Sparrow. Found on Hameldon Hill, Burnley by Brian Hartley. Photographed at Corris by Martyn Fretwell. Photo by David Kitching, found on a beach near Ulverston. Photo by Jackie Thompson, found on a path in Durham City. Derek Barker is seeking information on this one. 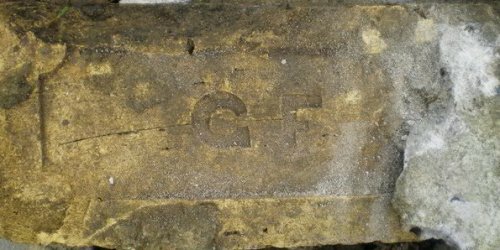 This brick is commonly found in Bradford, West Yorks. Buildings containing it suggest production in the first few decades of the 20th century. 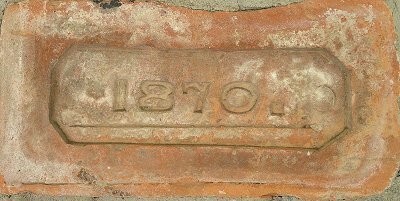 Essentially then we are looking for a brick-maker active in the period 1910-1940 able to supply bricks in large numbers for a prestigious city build (like a hospital or cinema) but local enough to be a source for small single house developments. Collieries commonly possessed their own brick-works. 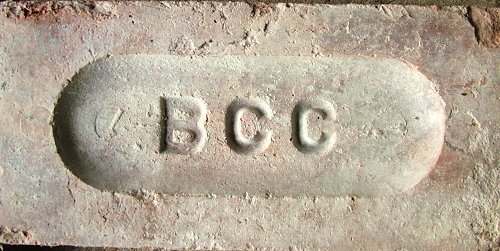 Birkenshaw Colliery Co was owned by various members of the Gill family from 1911 until in 1947, but at the moment I have no evidence whatever that they ever owned a brickworks. 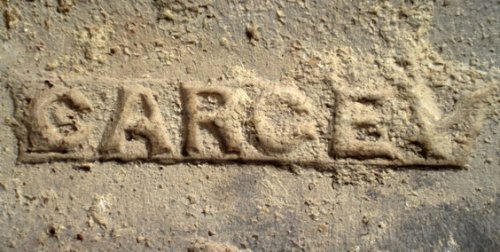 Another possible theory is that the initials stood for Bradford City Ceramics or Clay; the great difficulty with this theory is that neither name is attested in any of the trade directories that cover its likely period of operation. 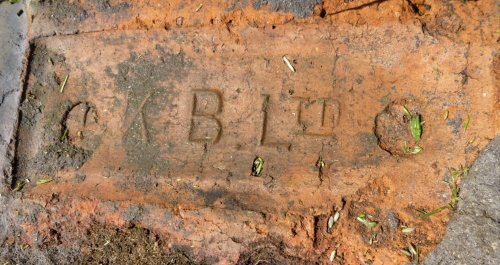 A Bradford Corporation Brickworks is noted at Rook Lane near Bowling. 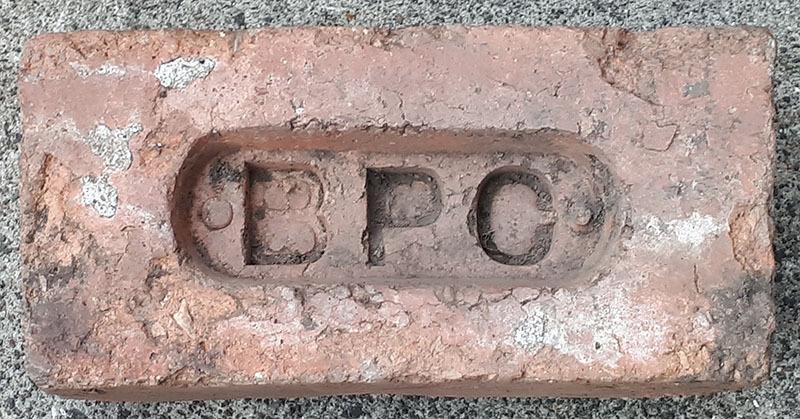 Hypothetically 'Bowling Clay Company' or 'Bradford Corporation Clay' are possibilities but, I must stress, the names are also entirely unattested in any trade directory. Maker unknown. 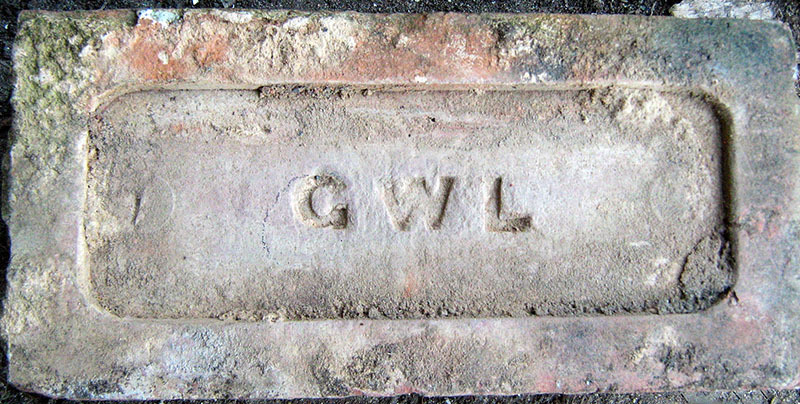 This brick may have been made in the Leeds area. Possibly Bearpark Colliery. Found at Langley Park, West Durham. Thanks to Davie Barrass for the photo. 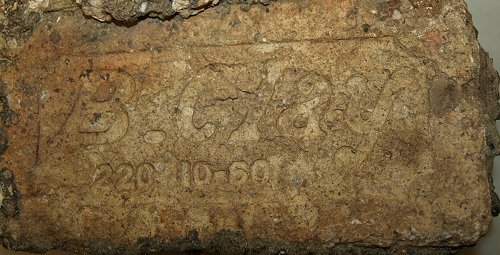 A well worn brick found on the Thames bank at Wapping by Frank Lawson. 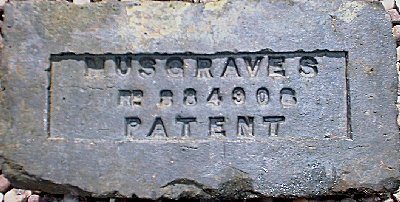 Thurston Riehl adds this information: I at once recognized your mystery brick BS as a type which was brought to Guyana as ballast in sailing ships between 160 and 260 years ago. They are very yellow, very porous, and relatively soft--especially when they are worn or have not been fired completely. 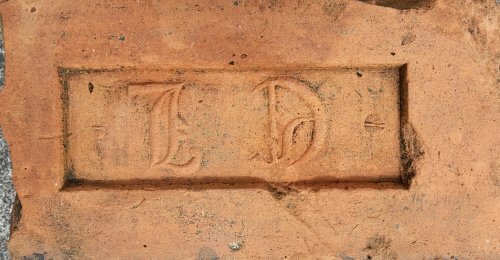 They often have three letters (Sometimes only 2 and sometimes a symbol) stamped in the indentation on one side. I am told they are Dutch, which is certainly a possibility, as all or part of present day Guyana changed hands several times between the Dutch, the English. and the French. 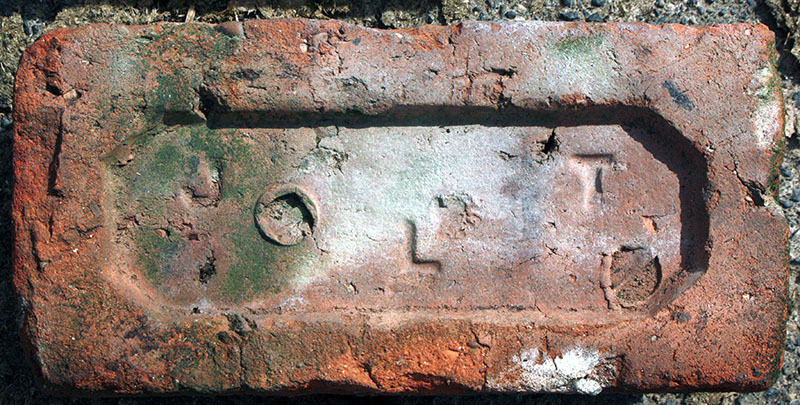 However, I can not be certain as to the origin of these bricks. 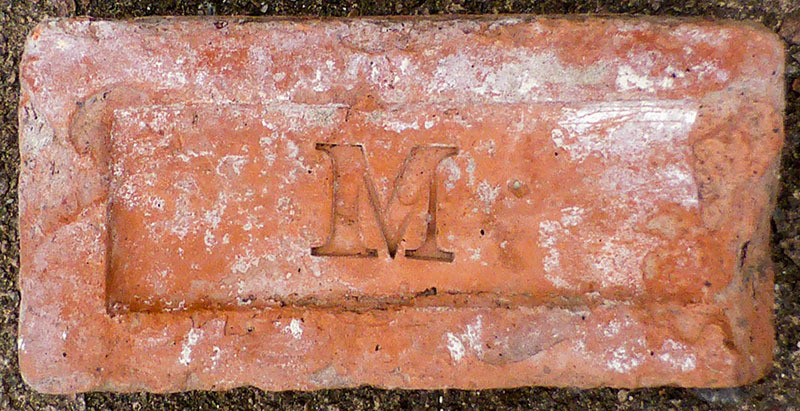 I have recycled over a hundred thousand of these bricks in a large building project at my farm. 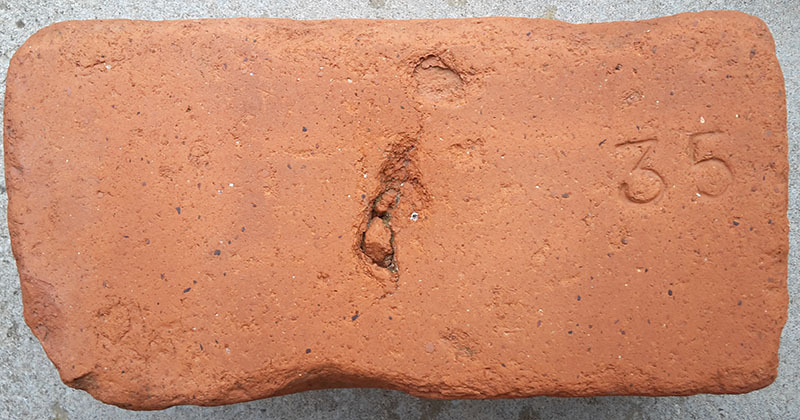 Found during an archaeological excavation at Ashburys in Manchester by David Kitching, who adds: the other bricks found in the same context appear to have been made in the period 1875-1885. Possibly the Butterfly works, Old Hill. Photographed at Valley Reclamation Yard, Chesterfield by Martyn Fretwell. Found in the Tames by Gryff Rees whilst mudlarking. 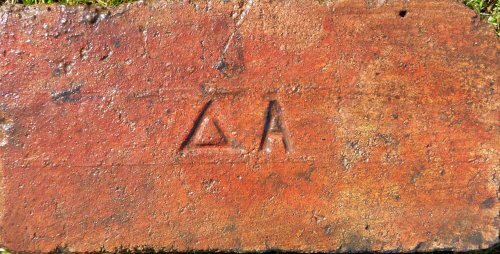 Found in the floor of an old summerhouse at Bishop's Stortford. Photo by Colin Mouser. 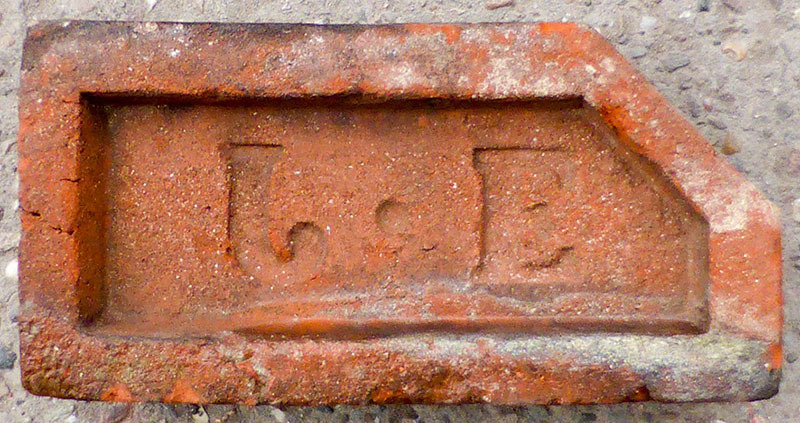 Seen with Essex & Suffolk bricks. Photo by Martyn Fretwell. Found by Philip Davies in the river Cegidog just east of Ffrwd, near Wrexham. 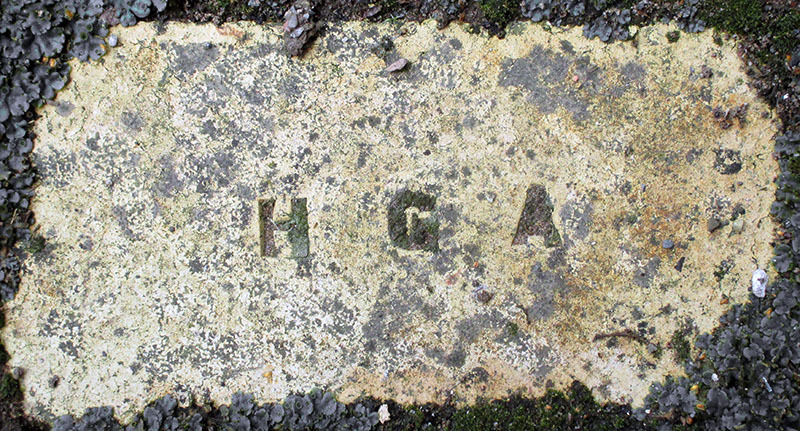 Found embedded into a garden path in the village of Overseal in South Derbyshire. 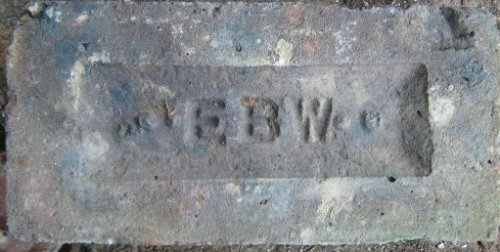 Possibly produced at Wemyss Brick Co. Works, Methill, Fife. Photo by Iain Hambling. Photographed at Cawarden Rec. Yard by Martyn Fretwell. Found at Peggs Green, Leicestershire. Found in woodland in Hertfordshire by Sarah Bateman. Found on the shore at Maryport, Cumbria by Mark Cranston. Possible abbreviation for Calcium Silicate? Could be Garcey? Found by Vladimir Smirnov in St. Petersburg. B Clay 220-10-60. 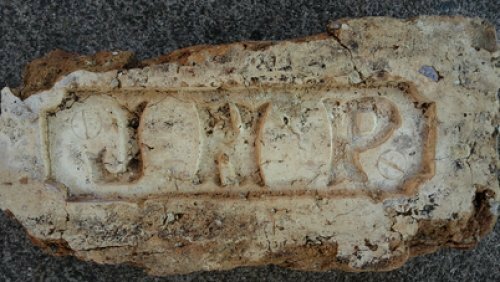 A fishing boat from Cedeira in Spain hauled up this brick from 500 metres down. Andres Bello would be grateful for any information. Maybe Suffolk area. Photo by Martyn Fretwell. Spotted in Riddings, Derbyshire by Martyn Fretwell. It is likely that this is a product of Barnett & Beddows. Found in Thirsk by Don Boldision. Photo by courtesy of the Richard Symonds collection. Photographed at the Museum of East Anglian Life by Martyn Fretwell. Found by Alan Murray-Rust in Beeston. Alan thinks it's been inserted into the paving relatively recently. Found in Norfolk. Photo by Martyn Fretwell. Found at Pocklington, East Yorkshire by Frank Lawson. Possibly Frankfield Brickworks, Glasgow, ca 1899 - 1960s. Found in a Liverpool collection. Found by Graeme Pilkington in Delamere forest, Cheshire. F D or L D? 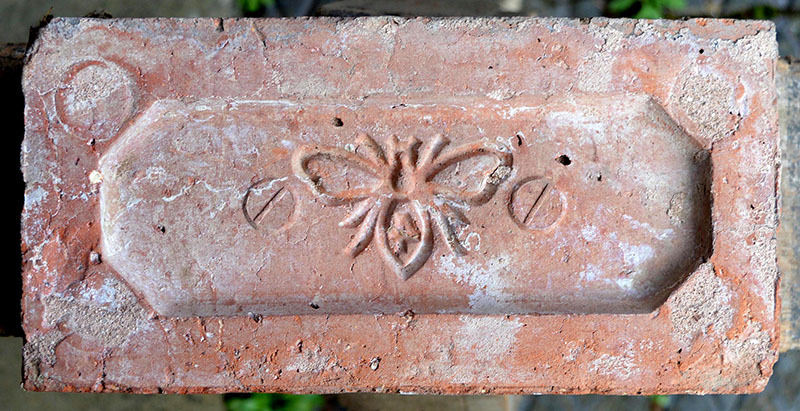 Found at the site of the old Burdale Railway Station near Thixendale, East Yorkshire by Carla van Beveren. Found in Middlesbrough by Simon Hunter. Photographed at Coalport China Museum by Michael Shaw. Probably local to the district. Found near Ripley in Derbyshire by Frank Lawson. Fond in a garden in Derby by Mike Shaw. 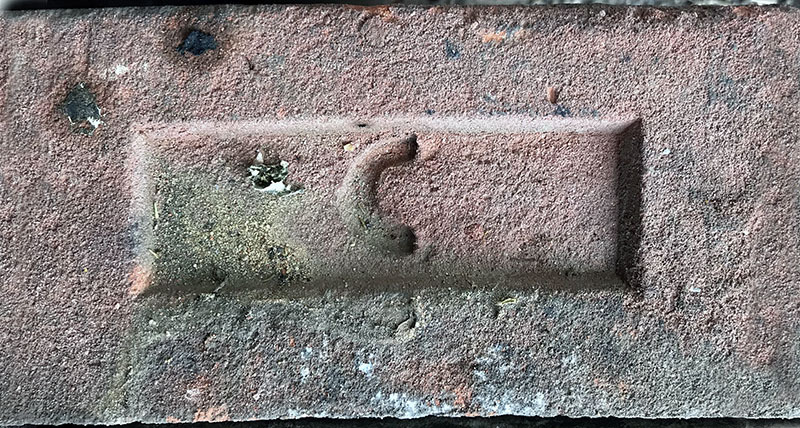 David Kitching writes: Seen in a yard at Newent, Gloucestershire, I have not been able to identify the manufacturer, The obverse of the brick was stamped CLAYTON & Co PATENT which refers to the manufacturer of the brickmaking machine. 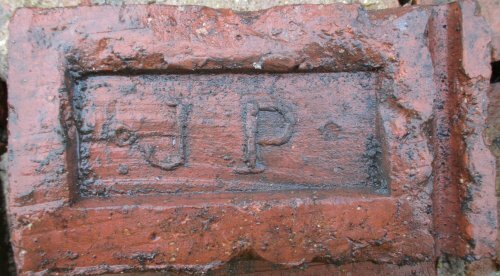 Found in path adjoining former Royston-Dewsbury Midland Railway line at Hall Green, Wakefield by Philip Jervis. Maker not known. Found underneath an old farm house in Michigan by Jason Lehman. 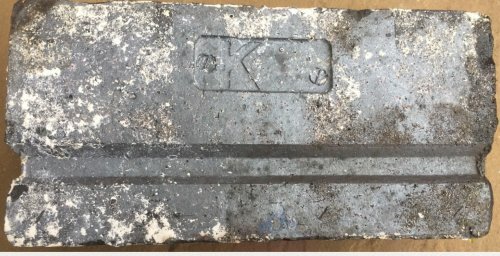 Could be a British brick? Quite possibly made by G R Stein refractories of Sheffield. H G A could stand for High Grade Alumina. Photographed at Coalport China museum near Ironbridge by Michael Shaw. A bit of a rarity for this website. 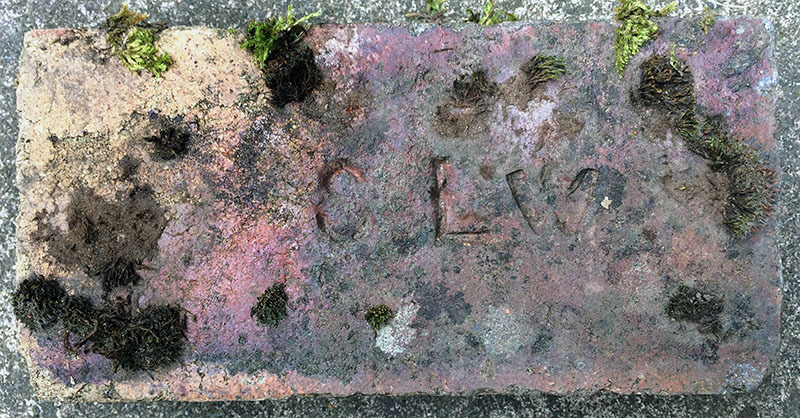 A concrete brick found outside Shrewsbury Abbey by Mike Shaw. Photo by Lawrence Skuse, who writes: Currently, a one mile stretch of the Mon-Brec Canal is being restored to working condition with a lot of excavation undertaken. 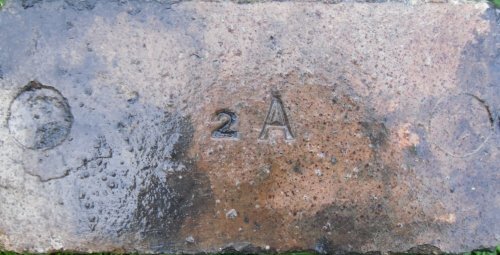 This was amongst a pile of chiefly white, anonymous bricks although there were fragments of an Abersychan and Cwmbran Star bricks also. 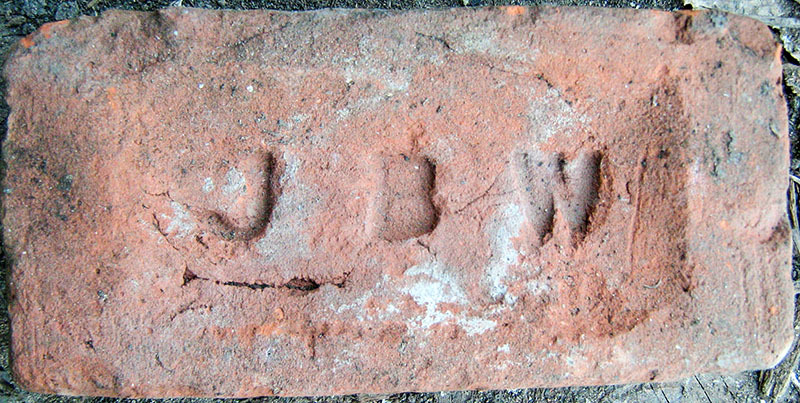 Whether this brick has been unearthed there, or has been bought in as a reclaimed brick, I don't know. I have no idea as to the manufacturer. Found around the Hayling Island / Langstone Harbour shoreline in Hampshire by Tony Russell. Photo by Martyn Fretwell from the David Penney Collection. Possibly made in Buckinghamshire. Photo by Martyn Fretwell. On display in Milton Keynes museum, photo by Malcolm Holt. Found Newark, Notts. 2016 by Frank Lawson. Found in Barrow in Furness by Richard Cornish. 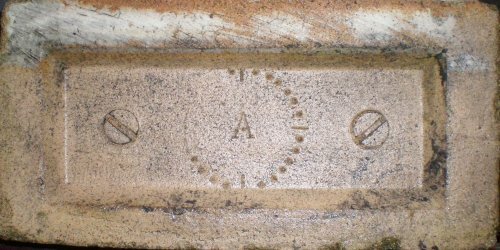 Possibly made by the Carron Company, Iron Works and Refractory brickworks, Falkirk, Stirlingshire. Found near Exmouth by Simon Fogg. Found at a disused quarry in Horsforth, Leeds by Mark Harriman. 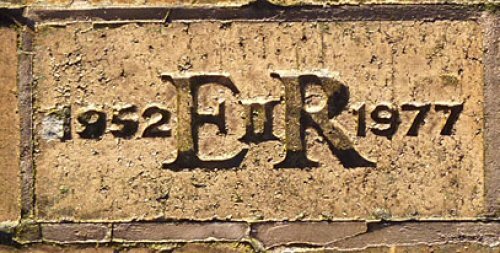 Found near the Victorian spa town of Llandrindod Wells by Richard Paterson. Photographed at Macclesfield Reclamation Yard by Martyn Fretwell. Found at Cawarden Reclamation by Martyn Fretwell. Found on a demolition site in Wakefield by Bobby Clegg. Found in Southampton. Photo by Martyn Fretwell. J. 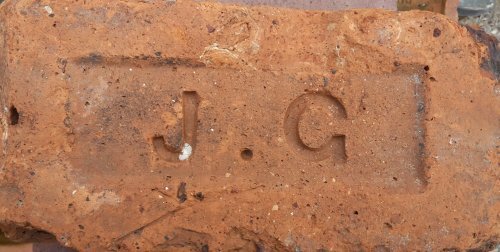 & J. C. G.
Seen in Suffolk. Photo by Martyn Fretwell. Spotted just outside the village of Meltonby, East Yorkshire by Carla van Beveren. 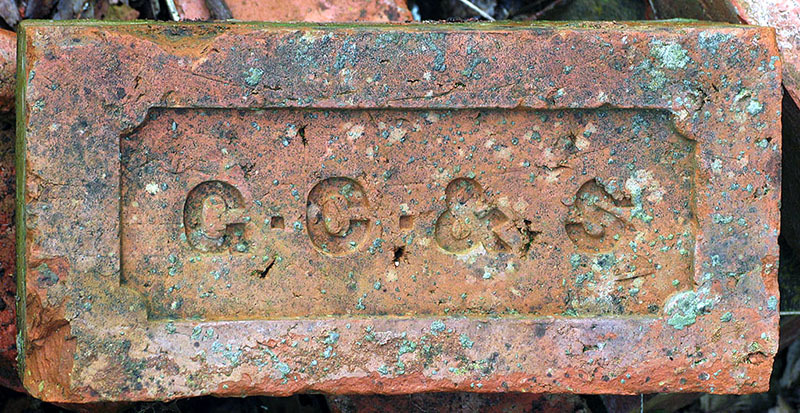 Found at the Cambrian Railway Society's Weston Wharf site Oswestry by Mike Shaw. 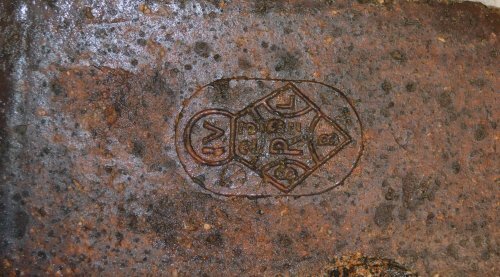 I have seen several examples of the mark, all from Liverpool, and I am convinced that it is a maker from that area. Found by Colin Driver in Leigh. Found at Cawarden Reclamation by Nigel Furniss. It is believed that this may have been made in Lathom, Lancashire. Found in Bolton by Henry Lisowski. Photo by Nigel Megson, found by the canasl in Dewsbury. Found in Coxley Beck, Horbury Bridge Near Wakefield. Photo by Phil Jervis. Found on the banks of the Thames. 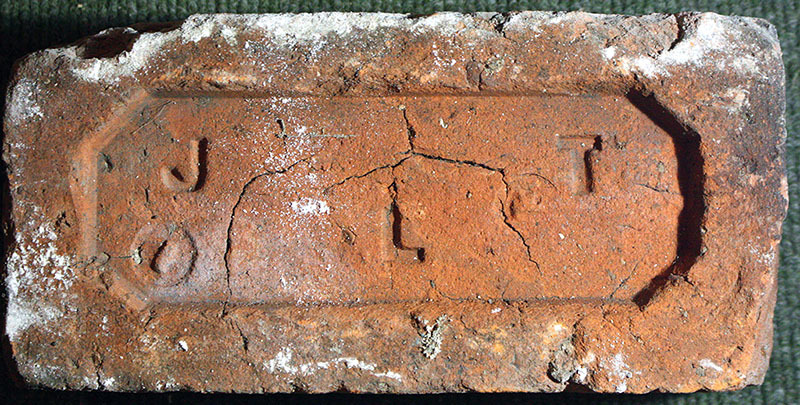 Possibly a foreign brick which arrived as ships ballast. 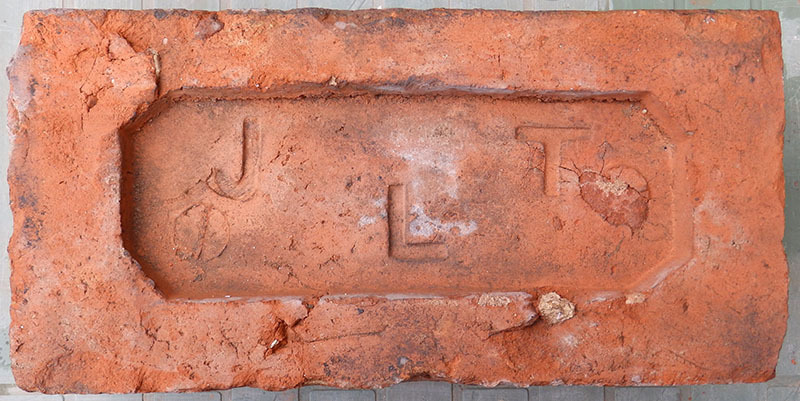 Photo sent by Bursledon Brickworks. 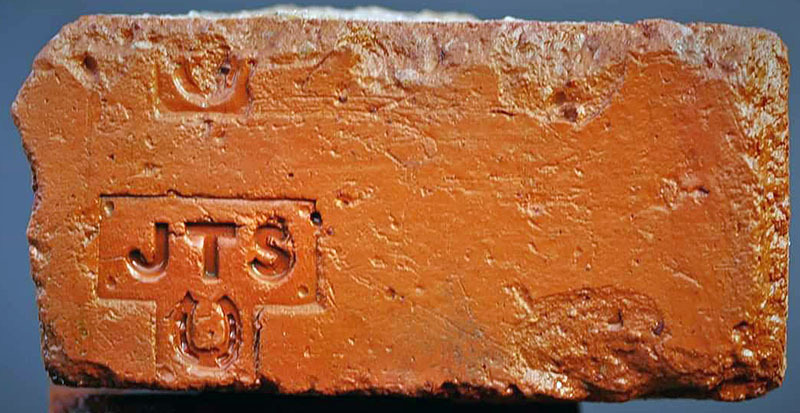 Another commemorative brick, this one from 1910. Steven spotted this one on a street in North London. 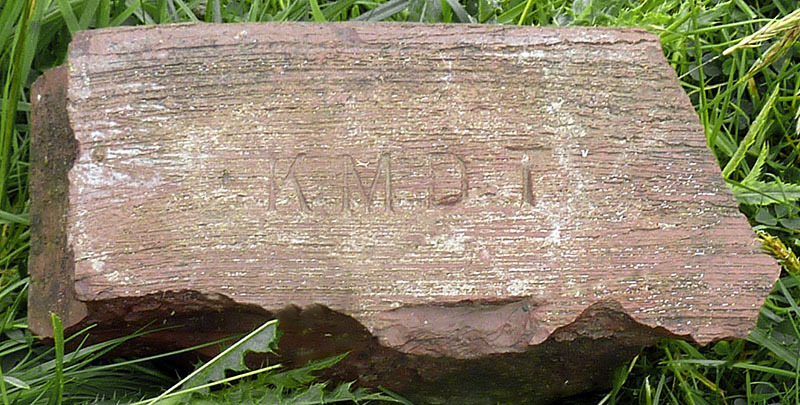 Found at the site of a Lancashire magnesium works by Richard Matthews. Found whilst diving off Stavanger, Norway by Arild Skjaeveland Vivas. 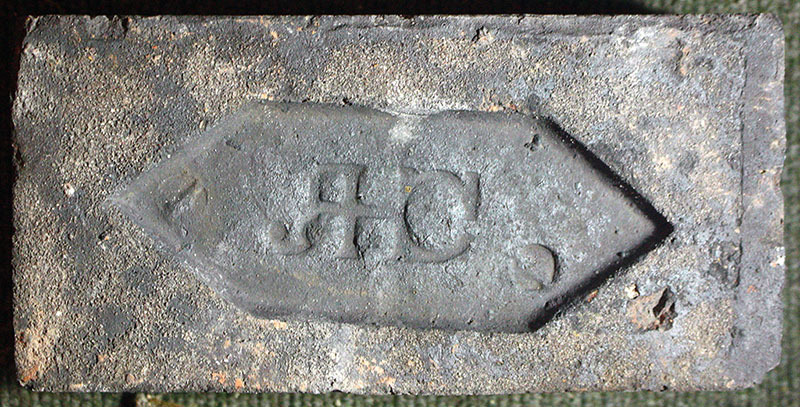 The back is stamped Clayton & Co. so it is almost certainly a British made brick. Possibly it arrived in Norway as ships ballast? 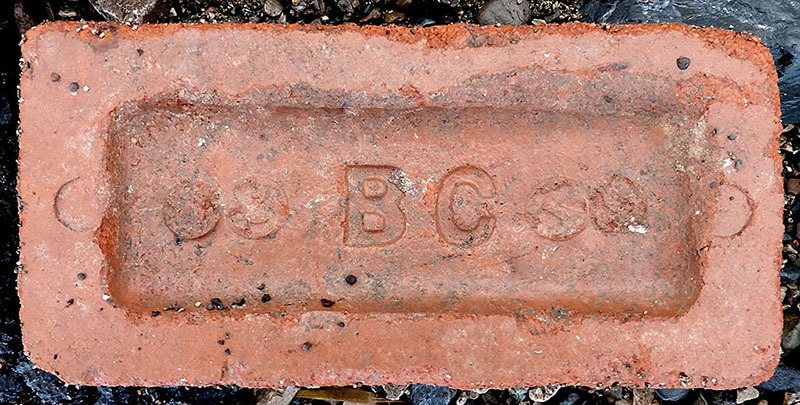 Photo by Martyn Fretwell who thinks it might be something to do with the Star Brick Co. in Wales. Origin unknown, photo by Martyn Fretwell. Found on the Easton Neston estate near the River Tove by Nigel Furniss, an old pump house was constructed from these. Found at Pleasley Mining Museum by Martyn Fretwell. Found in Bradshaw near Bolton by Colin Driver. Photographed in Broseley, Shropshire by Martyn Fretwell. found on the banks of the Thames at London at low tide by Steve Wright. Found in Saltburn by the sea by Helen Gaunt. 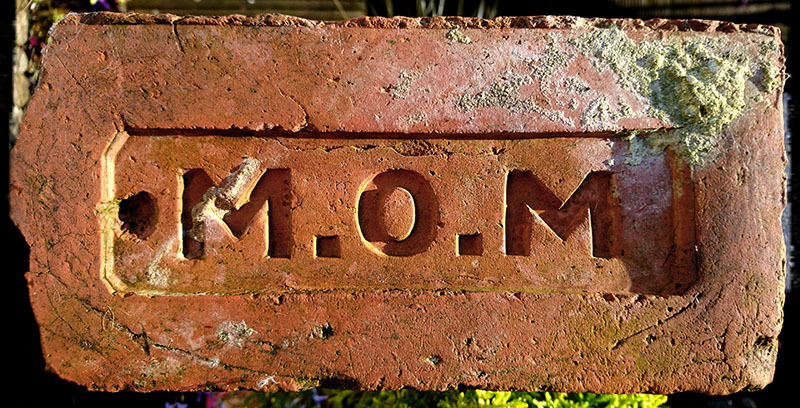 it's been suggested that M O M could be Ministry of Munitions, a WW1 Government organisation. 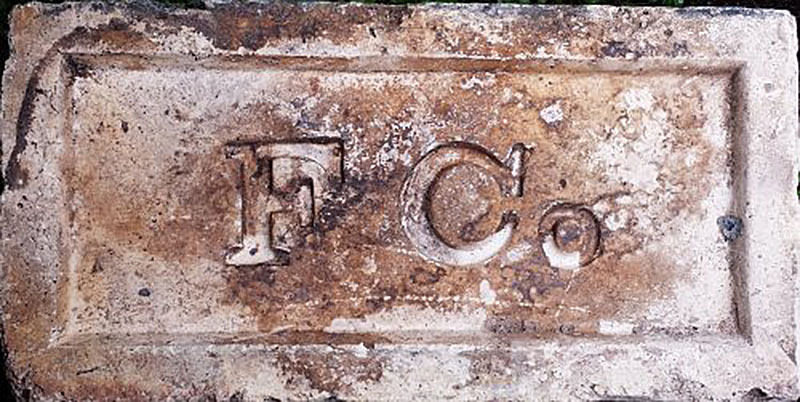 Found Codnor Gate, Ripley. Photo by Martyn Fretwell. Frog and side shown. Photos by courtesy of the Richard Symonds collection. This is a hard paving brick. Almost certainly made in Staffordshire. This one was found in Cobridge, Stoke on Trent by Ken Perkins.